Damac Properties delivered the first batch of 1,600 villas and a few low-rise apartments in Damac Hills in 2016. Damac Properties has almost been a bellwether in the Dubai property market. Even during the market’s lean phase, Damac was consistent with its product launches, much to the surprise of market stakeholders. That strategy continues even today. 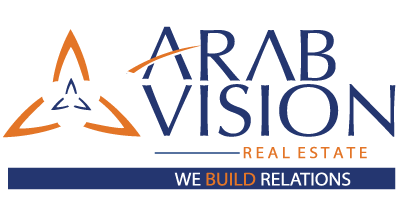 “We are continually releasing inventory across the market since we are listening to our customers’ demands. The key to success in the real estate industry is to have a consistent stream of right product launches,” says Niall McLoughlin, senior vice-president of marketing and corporate communications, Damac Holdings. Until 2013, Damac Properties mostly dealt in the higher end of the luxury sector. However, discerning a change in customer preferences for smaller ticket sizes, the developer switched tack to include more value-for-money villas and townhouses in its product mix. For instance, Damac has been steadily launching villa clusters priced from Dh1 million and upwards in its two master communities Damac Hills and Akoya Oxygen. This is mostly targeted at the millennial buyer looking for entry level real estate. “We still have an investor base. But we are seeing evidence of more end-users in increased mortgage purchases and more interest in the finishes, tiles, fixtures, etc. Our customer base is mostly from the GCC, Asian sub-continent and Britain,” adds McLoughlin. The developer is also actively tapping the Chinese market by opening a sales division in the country and tie-ups with two big brokerages. “The freeing up of currency moves out of China is beneficial to us. Chinese buyers are interested in our serviced apartments. With enhanced flight connectivity, more cities are opening up,” he said. Damac is bullish about the performance of the Dubai property market. Citing a recent Dubai Land Department report of property transactions worth Dh42 billion clinched in the first 45 days of 2017, McLoughlin also puts forth Damac’s sales of over Dh7 billion in 2016 as proof to buttress his arguments. “The market’s not what it was in 2007. But that’s a good thing. The Dubai real estate market has now matured. Speculation has died down after the levy of stricter mortgage caps and higher registration fees. When you look at the population, tourist numbers and new SME registrations, it shows that the Dubai economy is growing. Considering the Dubai economy grows by five per cent a year, it translates into a requirement of 25,000 new homes annually. There is still a supply-demand imbalance,” he explains. Damac executives believe reports that exaggerate the number of unit deliveries in Dubai impact sentiment and defer buyers’ purchasing decisions. “We are one of the biggest developers in town. We delivered just short of 2,500 units last year and confident of handing over a similar pipeline this year. Where are these figures of 40,000 coming from? Emaar and Damac represent half the market. Double their inventory estimate and you get an accurate projection of the supply,” adds McLoughlin. Besides handing over the Versace Tower in Beirut and a serviced hotel apartment in Downtown Dubai, Damac also delivered the first batch of 1,600 villas and a few low-rise apartments in Damac Hills in 2016. Damac Properties has 46,000 units under development across its portfolio, of which around 90 per cent is based in Dubai. The rest of it is in London, Riyadh, Doha, Beirut and Amman. The developer has 59 million square feet in the pipeline. The company believes in offering products that meet customers’ diverse price expectations. “You can buy everything from Damac – from a Dh595,000 product all the way up to a $10 million product,” he adds. Damac has licensing agreements in place with a range of luxury brands – the Trump Organisation, Fendi, Bugatti, Versace and Paramount. 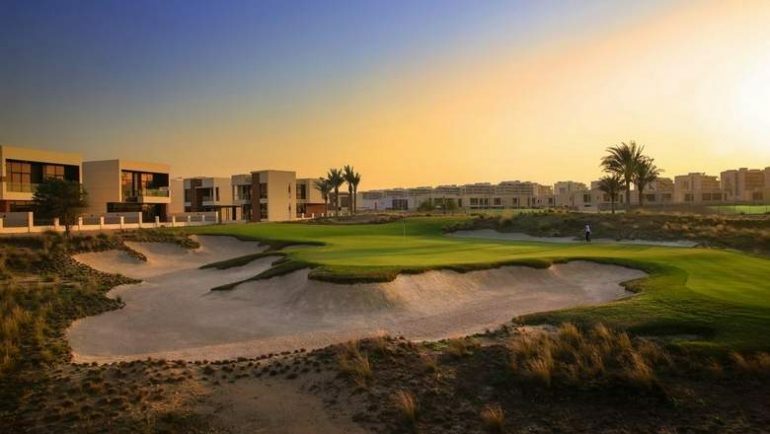 As part of its association with the Trump group, Damac opened the Trump International Golf Course in Damac Hills in February 2017, while a second course to be operated by the firm and designed by Tiger Woods will open in Akoya Oxygen in 2018. The Trump branding also extends to a cluster of 100 luxury Trump Estate villas in Damac Hills. Meanwhile, Damac Maison, the developer’s hospitality arm, already has six hotels in operation and over 13,000 units in the pipeline. The group has also registered good interest in plots at its master communities. “When a customer purchases a plot, they have an option to develop their own home as per our guidelines. But so far no one has opted for it. People are buying plots and we are building. We are not sub-contracting it to other developers,” clarifies McLoughlin.